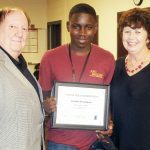 At the October 15, 2018 Dillon School District Four Board of Trustees meeting, Aristide Nizeyimana, ninth grade student at Dillon High School, was recognized for having a perfect score on his 2018 SC READY state assessment. Charles Carmichael is serving as the new director of Communities For Students, formerly known as Communities In Schools. 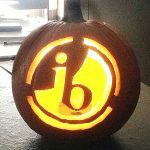 The Honors Statistics and Probability class completed a “Jack-O-Stats” Activity in which they took measurements on various parts of a pumpkin and performed a Linear Regression Analysis of it. 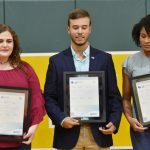 On Friday, October 12, 2018, Latta High School proudly presented Brianna Carter, Preston Johnson, and Briana Williams with their International Baccalaureate Programme diplomas. THE NATIONAL THEATRE FOR CHILDREN presented Showdown at Resource Ranch at East Elementary School on Tuesday, September 25, 2018. 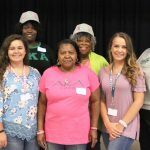 THE OMICRON Omicron Omega Graduate Chapter of Alpha Kappa Alpha, Inc. serves Marion and Dillon counties in many forms, from mentoring the youth to organizing voter registration drives. 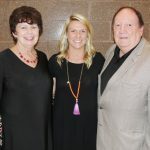 Ali Rogers Huggins, first grade teacher at East Elementary School, was named the 2018-2019 Teacher of the Year at the annual banquet held on Monday, October 15, 2018. 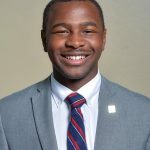 Jacorie McCall was elected the Freshman Delegate for Wofford College Student Government. The Hootie & the Blowfish Foundation announced its second annual multi-year grant cycle donations, granting a total of $90,000 over three years to three South Carolina charities that benefit child welfare and youth arts programs within the state.